See Network from a completely unique perspective – on-stage – with this immersive dining experience. 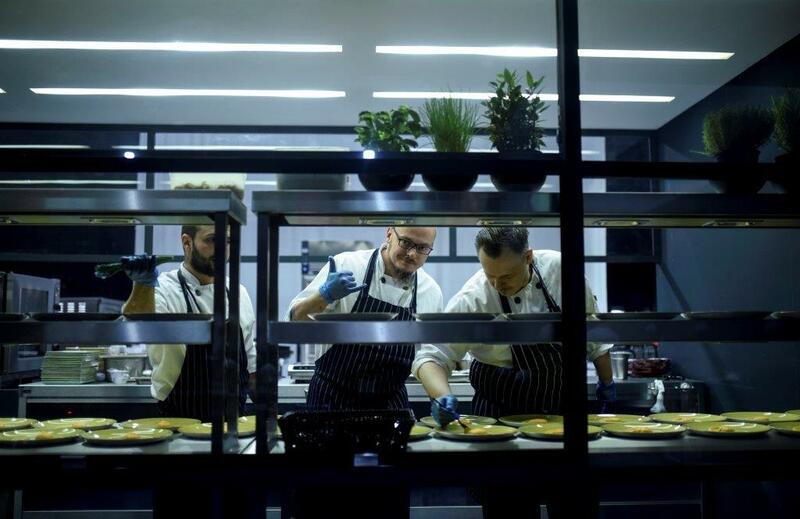 You will be welcomed to Foodwork, the show's very own fine dining restaurant, where you will enjoy a three course meal in the heart of the action on the stage of the Lyttelton Theatre. You will arrive through a secret entrance, be welcomed by our Maître D', and be guided to your seats on stage where the production will take place all around you. Running Time: About 2 hours. There is no interval. Network contains adult themes, loud noises, flashing lights and scenes of a violent nature, including graphic video footage. Seating will be allocated by the NationalTheatre Box Office. Seats at a table may be shared with other audience members. 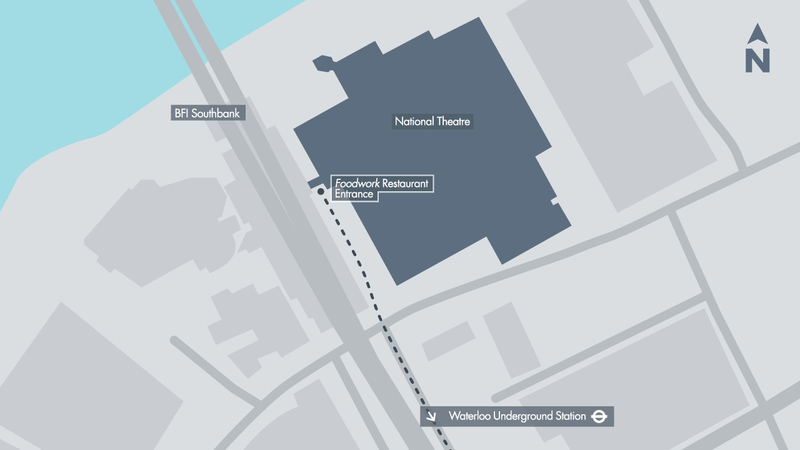 The entrance to the restaurant is on the side of the building opposite the BFI and will be clearly signposted. Staff will be on hand to guide you. The set menu will be served at both the bar stool seats and table seats.